I guess by now that you know what the cover of THE LOVEDAY VENDETTA looks like as it has appeared so often in posts. So I have not put up another picture today. December 9th was the day of publication of the paperback and below is an extract that I first posted on the UK historical romance blog earlier in the month. Writing the Loveday series has been a dream beyond my wildest expectations. For eleven years and eleven novels I have lived and breathed this family’s passions, adventures, romances and conflicts. I have loved every minute of it. The series certainly tested my creativity and ingenuity to avoid similarities in so many characters or repetition of plots and settings. The chronological order of the novels covered over twenty years of wars, sea-battles, romantic escapes, rivalries, political intrigue, social upheaval and close encounters on both sides of the law and the inevitable consequences. During my research and writing I have experienced a roller-coaster ride through the exciting times of the late 17th and early 18th centuries. Within every novel characters, although driven by their motivation and passions, have to develop and are changed by their experiences. The eleven novels have allowed me to cover the historical and social dramas of events in Cornwall and London as well as those in France, America and the newly founded colony in Sydney cove. My greatest challenge to date was the development of Rowena Loveday who was born in the first book of the series. In THE LOVEDAY VENDETTA she is seventeen. Throughout her childhood she had been defiant and wilful and undoubtedly spoilt by her doting father. She was mischievous and often resentful of her wealthy cousins that provoked her into jealous rages and causing trouble amongst her siblings. Whilst this made great drama in her younger years, by the time she is a young woman and about to take her place as the heroine in the latest novel, she was not the most sympathetic of characters. To her credit was that her childhood had been difficult and she had had to face more traumas than her cousins. I loved her spirit that refused to be cowed or defeated, but as an adult for her to win the empathy of the readers, I had to get into her psyche as she battled to win respect and overcome the prejudices of her past and the misunderstandings that had surrounded the dramas she had created. I did this by allowing the reader to understand her suffering and her desire to win the respect of her family and prove herself equal in blood and honour to her family. Here is an extract when she pours out her heart and need for acceptance in a letter to her dead father. This was a device I used sparingly but I hope you agree that it enabled the reader to understand this complex woman. Why did you leave me? Was my love not enough? Or was I to blame? Was I too like Mama and you could not look at me and not see her betrayal? These questions scream in my head and you were the only one who could answer them. What could I have done to stop you taking your life? I should have been a better daughter. I thought everything would remain the same forever, that you had not a care in the world. Or was that the drink making you deny how close we were to ruin. Were those, older and wiser than myself, who should have seen what was happening too wrapped up in their own lives to disregard the obsession that destroyed you? I, who loved you, thought you infallible. But they should have seen your pain. They betrayed you and I cannot forgive them. At your death my world crumbled. What did new dresses and a fine house mean then? They were nothing without you. Oh, Papa, I need you so much. Everyone is against me. They do not look at me and see Rowena they see Meriel. I am cursed with my mother’s looks but it is not her blood than burns through my veins. It is yours, which drives me to prove that I am a Loveday – that my wildness is the heritage of men who would be conquerors, who rule their lives as they ruled the sea as buccaneers. I am proud to be a Loveday. Why will others not see beneath the image of my mother to the heart of Rowena? I am condemned for sins that were not mine. Not that I could blame you, Papa. If I had not been conceived you would not have been forced to wed a tavern wench. Did you also blame my birth for ruining your life, Papa? Is that why you found more pleasure away from our home than within it? I was so angry when you died, Papa. I hated everyone. What had they done to save you? I wanted them to pay for their arrogance. I was an embarrassment to them. A reminder of all they wanted to forget. They sent me away to school so that they did not have to trouble themselves over me. Only you would have understood, Papa. Only you truly loved me. Why did you forsake me, Papa? Why did even you not love me enough to throw off the shackles of convention so that we could start a new life elsewhere? When will this pain of missing you end? How can I show you that I am a worthy child of your blood? The handwriting with its extravagant flourishes and twirls ran together where Rowena’s tears had fallen on the paper. This was the only way she could release her pain. The only way she could try and find an answer. The only way she could pretend that her father was still close to her and could be proud that she could redeem the honour of their name. devour the words wrenched from her heart. At the last moment before her fingers were burned she dropped the paper into a bronze bowl and stared at it until the flames died down and only ashes remained. She ground these to a fine dust with a wooden pestle, and then opening the window allowed them to drift on the breeze. With them went her simple prayer that they would travel through the ether to the afterlife, the words conveyed to her father. It was important that he would understand and not judge her. No one else would witness the depths of her turmoil. Her pride would not allow her torment to be known. The words were the essence of her soul, her conscience, her way to make sense of all she had lost and to prove that she was not her mother’s spawn, she was her father’s daughter. I loved writing this novel and developing the next generation of Lovedays. The orphaned Bryn, who is Captain Adam Loveday’s ward, is determined to bring the murderer of his mother and brother to justice and reclaim his inheritance. His quest not only places his own life in danger but also that of Rowena Loveday, the oldest of the Loveday siblings. Rowena is no complacent captive to her kidnappers, she is a formidable adversary towards anyone who would seek to destroy her reputation, when already she has faced the censure of the scandals created by her notorious parents. Bryn paused at each track leading off the main route across the moor. None felt familiar so he continued on his way. Finally he recognised an ancient oak split by lightening, whose shape had frightened him as a child, and which marked the border of his land. The tree was white as a phantom with it’s bark long rotted from its trunk. Further on he entered a hazel wood where the trees were dense. None had been coppiced in recent years and ivy held many of the trees in its stranglehold. Through neglect little light penetrated the overhead canopy and the tree bark and stones beneath were thick with moss. It smelt of damp and decay. With growing trepidation he urged his gelding through the water to where a hamlet of some nine house should exist. The wattle and daub thatched cottages had been raised to the ground. From the scorch marks on the stonework that remained standing they had been destroyed by fire. A feral cat with a dead rat in its mouth ran across his path and darted into the bracken. What disaster had struck here? And what had happened to the people who had worked on Willow Vale land? It was not the only shock he was to discover. The surrounding fields were filled with yellow ragwort that would have poisoned any livestock. Yet the greatest blow of all was when the house came into view. Or what was left of it. Only the north wing remained. The rest was a fire-blackened ruin without a roof, paneless windows and tumble down walls. Brambles were growing through the lower mullions and molehills made the once immaculate lawns of the gardens look like a drunken ploughman had tilled the ground. He was appalled by the vision of so much destruction. There was nothing here that made him feel this had once been his home. It was as though every part of all that was good and beautiful from those hazy childhood memories had been rent asunder. His hopes for his future were brutally desecrated. What answers could he possibly find here? A cold finger scratched along his spine and he shuddered. Someone had just walked over his grave. Or someone from the grave was beckoning to him? He glanced through the trees to the tall church tower on the edge of the manor land. On his approach he had not believed he could be more shocked than by the sights he had previously witnessed. Yet clearly nothing here had been regarded as sacred. The flagstones were covered with rotting leaves that had blown inside over several years. The pews erected by his grandfather had been destroyed, scorch marks on the lime washed walls testament to the fires their wood had provided. Pottery shards and mildewed sacking, their innards of stuffed straw long rotted from the time they had served as mattresses. For a time the church must have provided a sanctuary for the homeless villagers. Darker stains on the walls had him reeling back in horror. They were covered with splatterings of long dried blood. Murder had been done here. Nothing else could explain the number of bloodstains, or the pitted marks where bullets had slammed into the walls. He covered his mouth with his hand as nausea rose to his gullet and with difficulty he swallowed it down. Why was there so much destruction? Clearly his heritage had meant nothing to his stepfather. What Carforth could not wrestle from the estate legally he had made sure that Bryn would never benefit from the riches he himself had been denied. But at least Bryn still had the land. He forced himself to focus on that. Carforth could not take that part of his inheritance. With keen wits and hard work fortunes could be remade and properties rebuilt. Desolation swept through him. He had come here to find answers to his past. Instead he had found desecration and a sinister mystery, which boded ill concerning his family and those who had relied upon them. He was swamped with guilt. Should he have tried harder to trace his family and home? Would he have been able to prevent whatever disaster Carforth had wreaked here? There was no doubt in his mind that his stepfather was the cause of the destruction. How many lives and livelihoods had been lost because of his own unwillingness to face his past? Therefore did that not make him responsible? As though felled by a slingshot he sank down upon his knees in the churchyard and held his head in his hands. Remorse smote him. What price his neglect – his cowardice? He wept for those he believed that he had betrayed. The sun was low in the sky when he emerged from his torpor resolved to seek justice and avenge those who had suffered when it was his family’s responsibility to protect them. Reparation must be made or he would never feel worthy to carry the Bryant name with pride. He closed his eyes focussing upon his vow. 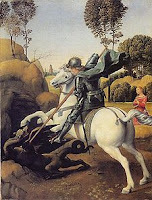 The archangel St Michael had led the good angels in the battle fought against Lucifer and his followers. He prayed now for the strength to rid the world of the devil who had invaded Willow Vale and defiled all that had been decent here. Too late he heard the footfall behind him and before he could turn to confront the intruder pain flared through his skull and he receded into darkness. The 11th book in the Loveday series THE LOVEDAY VENDETTA is published by Headline in hardback on 5 August. CHEATED. Indebted to the Lovedays for saving his life, Bryn is piecing together his childhood memories. Before he can reclaim his stolen inheritance, he must uncover the truth behind the murders of his mother and brother. Only then can he confront the demons from his past - and lay the dead to rest. CONQUERED. Bryn's discoveries unleash an enemy more powerful than the Loveday family have ever encountered. They must unite in order to protect their own. But will it be too late...? Waterstones have the LOVEDAY SERIES now available as an ebook. Happy Reading to you all. The wait is over. I have received many emails from anxious readers desperate to complete their collection of the Loveday series. I am delighted to announced that with the second reprint of THE LOVEDAY TRIALS All the 10 of the published LOVEDAY novels are again in print. THE LOVEDAY SCANDALS has been reprinted and is now available. It is the fourth in the Loveday series and one of my favourites as it brings the story of the lovable rogue Japhet to the fore. Second to Adam he is my favourite character and his life adventures and romances have been the most exiting to write and also the most difficult to allow to happen when he had to face the consequences of his rakehell life. This novel allowed me to take the series to a new and thrilling level and bring a deeper lunderstanding to eighteenth century life and experiences for the family to overcome. 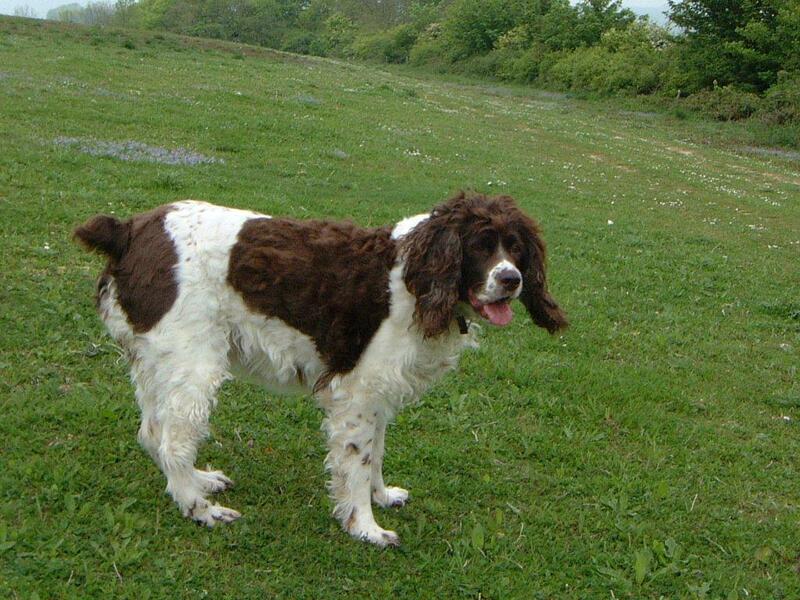 Farewell fond friend and constant writing companion. Loving, loyal and taking joy in everyone you met and showing us that life is meant to be fun. Peg was the inspiration for ADAM LOVEDAY'S dog scamp in the Loveday series. Every since I can remember I have always thought that the English let themselves down (or just missed out on an poortunity for a darn good party) by not having official St George's Day celebrations. I am not the greatest of organisers but always felt that one day I would make this day special. By the happiest of coincidences (that is if you believe there is such a thing of coincidence) my lovely daughter was born on 23 April 1973. On 23 April 1975 my gorgeous son was born. This was not the case of the longest labour in history to produce twins and neither of them were named George or Georgina. I reckon I did my bit to celebrate our national saint's day and we have a party every year or my children would likely strike me off their christmas card list. April 23rd also marks the birthday and the day of the death of our greatest man of words William Shakespeare. How do you celebrate our patriotic day? Labels: St Georges Day; William Shakespeare. I am delighted to be able to tell you that THE LOVEDAY HONOUR is back in print. It is already available through Amazon UK and should also be available through all other outlets. I hope that waiting for it has not spoilt the pleasure of the Loveday series for new readers. I am still waiting to hear when THE LOVEDAY TRIALS and THE LOVEDAY SCANDALS will be out. I was told this month so they should not be long before they are again in the marketplace. I apologise to any readers trying to access my website. There are problems with the server which will be sorted in a few days. There is a recent post of mine on UK Historical Romance blog click on the link above. Hope to be back in action very soon. The upside is that here on the south coast we have had lots of sunshine all through the holiday and only a couple of showers. It is a great pleasure to hear from new readers who have purchased the latest Loveday novel and have become hooked on the series and want to enjoy the books in the order that they were published. A reminder that Trials, Scandals and Honour have been reprinted and will be available to purchase in April. For readers in America and Canada the best online bookstore for the series is the UK The Book Depository. The novels are discounted and they do free delivery worldwide. Today I have posted on UK Romance blog if you want more news about the Lovedays. Click on link above. Log in and join us. Good News for readers waiting for news of backlist reprinting. 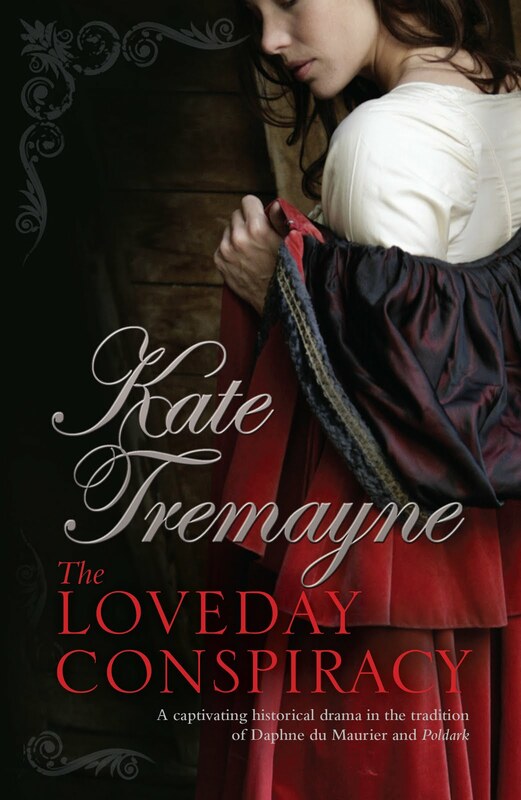 "diane6894" The Loveday Series is an extra interesting one, based in historical Cornwall and with the fine writing of Kate Tremayne who has become one of my favourite authors. The Loveday Trials, being the third book of the series, entails you in the story and you just can't let it down. With Adam Loveday's marriage being a let down on the family and the trouble that his wicked brother StJohn gets into, this book is as interesting as ever. My mother has been reading the Series and she can't let it down either. Now we're both waiting for the next book in the series and fighting over who'll read it first. 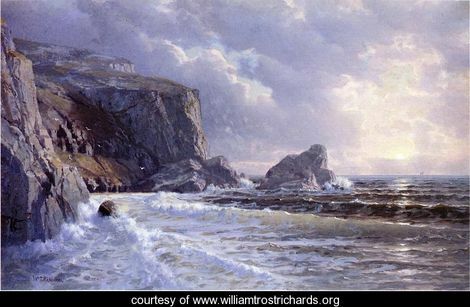 25 years ago my mother introduced me to the Poldark saga by Winston Graham, via the TV series. I was hooked and loved every book in the series. 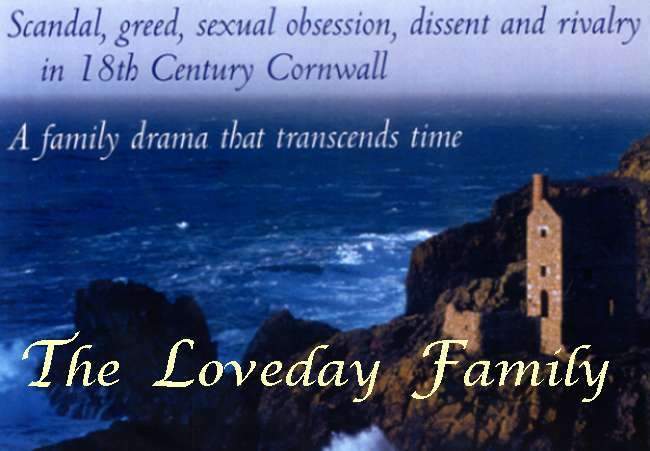 Kate Tremayne has created a saga of equal calibre in the Loveday series, where the reader becomes immersed in the life, times and scandals of this Cornish family. I have read the first three books in the series so far and was captivated on every page. The books are about passion, swashbuckling, valour and romance. If only Errol Flynn were alive to play the role of Adam Loveday! The Loveday Trials is the third book in hopefully a very long but riveting saga following one families fortunes , the Loveday's , in 18th century Cornwall against a backdrop of shipbuilding & smuggling . I have read & enjoyed her first two books & was not disappointed with this one - action , intrigue & romance continue unabated & I await Kate Tremayne's next book with impatience. In my opinion my money was definitely well spent !!! This is the fourth book in the series and just a compelling reading as the previous books. Kate Tremayne's style of writing gets you totally involved with Cornwall, the lifestyle and the many happenings - you feel you are there in Cornwall, on the highway to London, the highwayman, the shows and the gambling. You then turn to the seas and of course Adam Loveday just wanting to get home to his family who of course are again at loggerheads. May be the next book will bring them the Loveday Luck they deserve. THE LOVEDAY HONOUR the fifth book of the Loveday series. All of the other 10 titles in the series are still in print and available online from Amazon and The Book Depository. They can also be ordered with prompt delivery from all good bookshops if they are not on the shelves. Indebted to the Lovedays for saving his life, Bryn is piecing together his childhood memories. Before he can reclaim his stolen inheritance, he must uncover the truth behind the murders of his mother and brother. Only then can he confront the demons from his past – and lay the dead to rest. Bryn’s discoveries unleash an enemy more powerful than the Loveday family have ever encountered. They must unite in order to protect their own. But will it be too late...? Does this whet your appetite? The Loveday Vendetta is one of the most exciting Loveday stories ever. 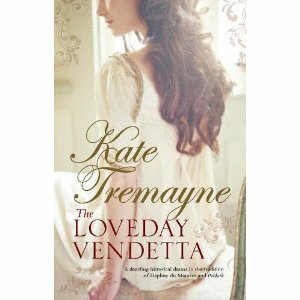 This is the fabulous cover for THE LOVEDAY VENDETTA published in August in hardback. I love it. For those readers eager for news when the THE LOVEDAY TRIALS and also THE LOVEDAY HONOUR which are currently out of stock they will both be reprinted but I do not have the dates yet - so watch this space. THE LOVEDAY TRIALS was reprinted in May 2009 and has again sold out. I am delighted to hear that readers who come to the series through a later title are eager to catch up on previous adventures and romances and buy the entire set. THE LOVEDAY VENDETTA brings the next generation of Lovedays forward with Rowena rebelling against the constraints of her new life and Bryn unravelling the mysteries of his past and seeking justice against the murderer of his mother and brother.